A crackdown by the Thailand government on so-called zero-baht tours from China has had the desired effect. 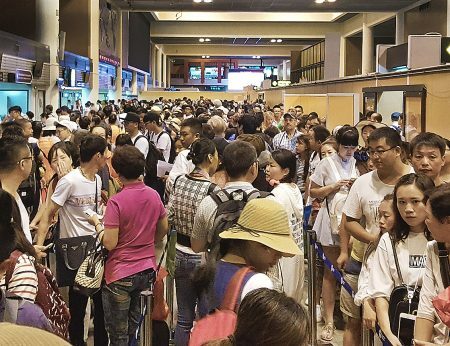 Hundreds of thousands of Chinese tourists planning to visit “the Land of Smiles’ have cancelled their holidays, sending Thailand inbound tourism figures plummeting and forcing the government to resort to incentives traditionally only offered in the wake of major civil unrest. Just two months after imposing an arrival fee of Bt1,000 (US$28) and a minimum Bt1,000 per day fee for inbound Chinese tour groups, the Thailand government has been forced to perform a dramatic back-flip, waiving the charge through until February 28 next year, while also slashing the visa on arrival fee in half for 19 other nationalities to Bt1,000. While Thai officials were expecting a slowdown in Chinese arrivals due to the crackdown, early figures show just how damaging – and cost sensitive – the Chinese inbound package tour market is. In October the number of Chinese tourists visiting Thailand plummeted 16.22 per cent year-on-year while in November the numbers were down 30 per cent. While Tourism and Sports Minister, Kobkarn Wattanavrangkul, expects Chinese tourism arrivals to fall by between 10 and 20 per cent this month, she is equally confident that the effect will be temporary. Even so, the dramatic drop-of has already seen the number of inbound Chinese tourists revised down from 10 million to 8.9 million. China is by far Thailand’s number one source for foreign tourists. Last year some 7.9 million Chinese tourists visited Thailand, 27 per cent of the total inbound tourism figure of 29.8 million, injecting some Bt370 billion ($10.6 billion) into the local economy. In the first seven months of 2016 Thailand recorded 5.764 million Chinese arrivals with the Tourism Authority of Thailand (TAT) forecasting 10 million inbound Chinese tourists would inject Bt509 billion ($14.58 billion) into the Thai economy. The battle by Thailand against zero-baht tours began in earnest last September when Thailand Tourist Police (TTP) raided OA Transport Co in the Lat Prabang district of Bangkok. The biggest zero-baht tours network in the country, OA Transport saw 2,155 of its fleet of 3,000 buses impounded. Authorities also froze Bt4.7 billion ($134.57 million) in assets belonging to 381 affiliates – firms engaged in restaurant, jewellery, and other businesses where tourists from China on zero-baht tours were taken to shop, eat, and buy goods and/ or services. Some 13 individuals were charged in connection with the zero-baht tours crackdown. Implemented on the orders of Prime Minister Prayut Chan-o-cha, who believes zero-baht tours have tainted the image of the Thailand tourism industry and rendered huge losses to the country, the crackdown has forced TAT to dig into its ‘offers of last resort’ to boost inbound tourism numbers going into the 2016-17 high season. Under the zero-baht scheme Chinese tourists were lured to the ‘Land of Smiles’ by offers of extra-cheap tour packages. Tourists are generally asked to pay only for the airfare with promises of free food, accommodation, and local tours. But once they arrive in Thailand these tourists are pressured to buy goods and services at much higher rates than usual from shops operated by agents of the Chinese tour operators. While Chinese tourists on zero-baht tours spend a lot more money locally, the shops they spend their money in send it back to China without paying taxes. It is estimated that Bt70 billion ($2 billion) in revenue is lost annually due to the practice. The zero-baht tours are the reason why a surge in arrivals from China has not generated a proportionate increase in revenue. While zero-baht tours have operated since 1999, it is only in April of this year that the Thai government ordered a crackdown after receiving numerous complaints from tourists and locals. Most of the tourists defrauded by Chinese tour gangs and their Thai accomplices are rural Chinese and fitting that demographic are low-income earners. Of the 6.88 million Chinese tourists who visited Thailand from January to September this year more than one million of them were ferried on zero baht-tours. The effect of the zero baht tours crackdown was immediate. 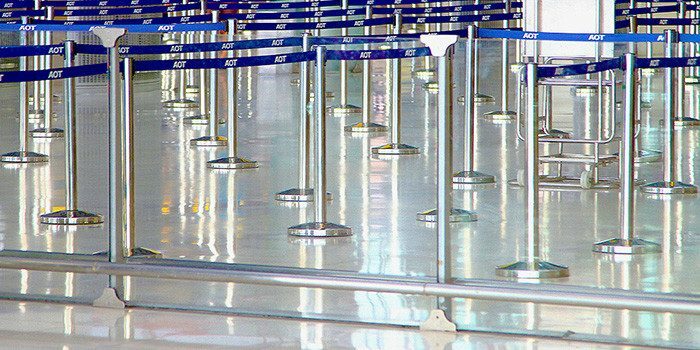 Jing Daily reported that Chinese arrivals at Suvarnabhumi Airport, Thailand’s largest airport, dropped to 4,000 a day in September from 13,000 a day in August. A drop in Chinese arrivals was also noted at Don Mueang Airport, where most Chinese on zero-baht tours arrive. 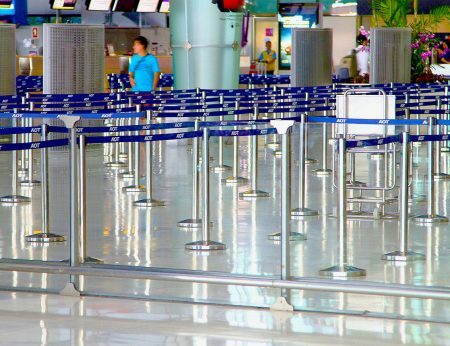 According to Thailand government figures for the month of October 2016 there were 2.26 million arrivals to Thailand, which was 10.1 per cent lower than the previous month’s 2.41 million. 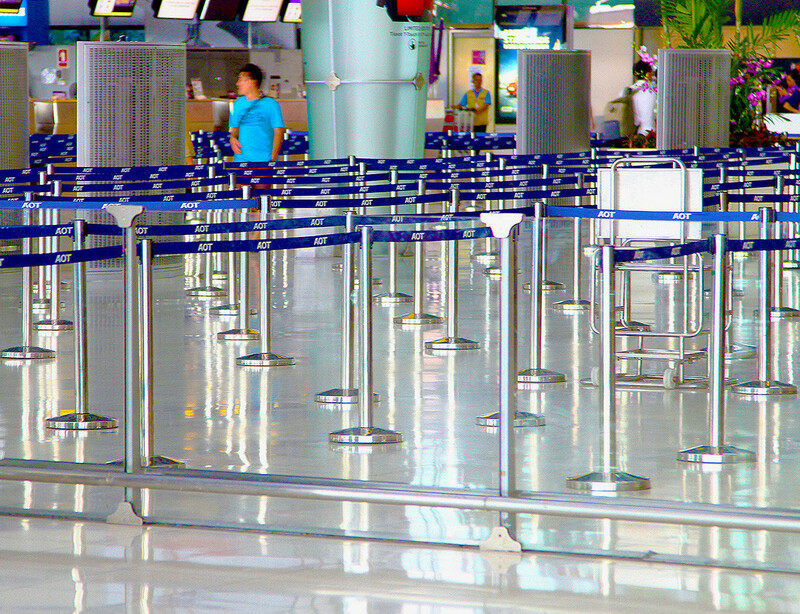 Amidst reports that 70 per cent of Chinese tour groups had cancelled planned trips in response to the zero-baht tours crackdown, the Bangkok Post reported that for the two months following the crackdown Thai and Chinese airlines and charter firms had cancelled more than 30 flights a day, equivalent to about quarter of a million fewer passengers a month. The drop in Chinese arrivals caused three Thai-registered airlines to suffer financial distress and for Nok Air, a budget airline partly owned by Thai Airways International (Thai), to put expansion plans to China on hold. International tourism accounts for about 10 per cent of Thailand’s GDP.